TMD • Comments Off on Are BOTOX Trigger Point Injections Safe For TMD Therapy? If you suffer severe pain and discomfort because of TMD, BOTOX trigger point injections may help you. TMD and pain management options for it were discussed in our previous blog post, “Do You Suffer With A Sore Jaw Caused By TMD?” Today’s blog post will dig deeper into BOTOX trigger point injections as a pain management option for TMD. Since there is no known cure for TMD, the goal is to manage TMD pain and discomfort in the most effective way possible. For some who suffer with severe TMD, BOTOX trigger point injections have provided substantial relief. BOTOX trigger point injections are considered by some as an aggressive (irreversible) therapy. Many believe it should be avoided. However, in the opinion of some who have had the treatment, it is non-aggressive. It is also considered reversible as the body metabolizes the BOTOX, causing the effects of the drug to last from only 4 to 6 months. How do BOTOX trigger point injections work? If the temporomandibular joint (TMJ) is out of place or overworked, severe tension headaches or sharp pain may be experienced in the jaw. BOTOX trigger point injections relieve this jaw tension by relaxing the muscles used in the powerful, unconscious movement of the jaw. BOTOX trigger point injections are a non-surgical procedure. The treatment is an outpatient procedure, so no hospital stay is required. Treatments can be administered within 10 to 30 minutes. Most patients who receive BOTOX trigger point injections will see noticeable improvement within one or two days while others can experience relief in up to as many as seven days. Relief can last up to 6 months. Are there complications associated with BOTOX trigger point injections? Complications with BOTOX trigger point injections are rare, but all possible risks should be discussed with your doctor before treatment is administered. Because certain medication, intoxicants and other substances can hinder or negatively impact the effectiveness of treatment, it is important to honestly share all medication or substance use with your doctor, too. Will Insurance Cover BOTOX trigger point injections? Not all insurers currently cover BOTOX trigger point injections. Because it is becoming increasingly popular among patients, doctors and dentists, we hope that the procedure will be accepted by more insurance companies in the future. Where can I go to get Botox trigger point injections? We recommend and can refer patients to Dr. Jay Haubrich, MD CCFP at Divine Interventions. It is best to come in so we can assess how serious you symptoms are in order to prioritize the right treatments options for management of migraines and to discuss whether you are a candidate for treatment. Often Botox is combined with a bite splint and the dentist needs to make this decision with their patient. Do you suffer with severe TMD pain and discomfort? BOTOX trigger point injections may prove to be extremely effective for you. 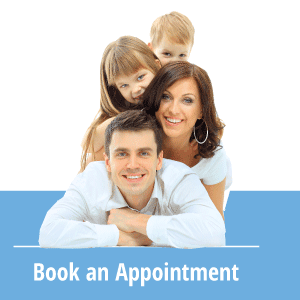 Call Sherwood Dental at (780) 464-4166 today to discuss your treatment options.